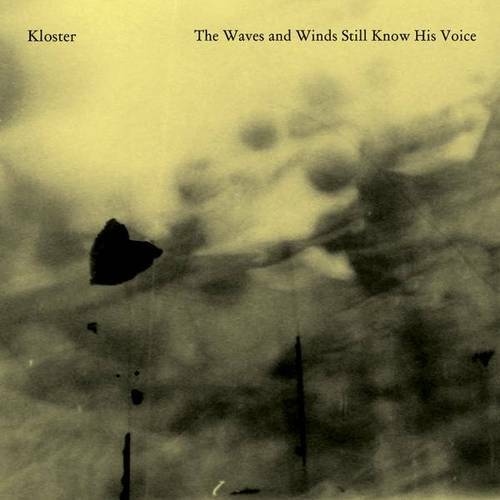 Fourth album by Kloster. 18 people gathered. A lot of lyrics by the medieval British mystic, Julian of Norwich. Pastoral folk at its best. A rewarding album for those who take the time to listen. CD: 100 Danish Kroner + shipping / This album is being distributed by VME and should be available at most music stores. Having finished the previous Kloster album, Do Not Be Afraid (2008), I had the idea of taking a longer break between Kloster albums. The idea of having to write new material for a whole new album seemed too enormous and instead I just played a series of Kloster concerts with different setups in Denmark, Norway and Sweden and released a live album and a split-EP with the Swedish based Ecce Ancilla Domini. However, one day I wrote to a close friend of mine as to whether she happened to have any short texts lying around that would fit the purpose of songs some day in the future. A week later, I received 5-6 handwritten sheets of paper with a bunch of short texts by different people; poets and old mystics. I looked through them quickly and then placed them in my desk drawer. The drawer remained closed until one evening when I found myself bored, playing the guitar, but in need of words. I opened my drawer, took out those small scraps of paper, and tried to playfully sing some of the words to random notes on my guitar. Somehow the words by a person (at that time) unknown to me, Julian of Norwich, seemed to have an effect on me. Her words seemed eager to be put into songs. Within a week I had written five new songs with words by Julian of Norwich and a few months later a sixth song appeared. At that time, all I knew of Julian was that she had been a English medieval mystic and that my friend who sent me the lyrics had written her final thesis on her at the University of Copenhagen. One thing that stands out is the night when I played around with the words which ended up as the song Suffer. It was late and I sat on my bed with my guitar and those words in front of me. It took no more than five minutes before the song showed up. As if it had always been there, just waiting for someone to present it. For an hour or so, I played the song to myself over and over again and with tears begging to find their way through my eyes. The depth, the love, the presence in those words and the fine connection I sensed between the words and the melody became an almost spiritual experience to me. The following day I had been invited to come and play some songs for some children and tell them a bit about the process of writing songs. I brought along the newly written song and it somehow felt completely right that those kids were the first to hear Suffer. All of a sudden I was blessed with six new ”Julian-songs” and, along with two other songs that had just been lying there waiting for a fitting occassion, I found myself equipped with the core material for a new album. A few more songs appeared, and now, after almost two years of intensive recording sessions, with help from family and friends, it is a somewhat weird feeling to have made an album which I feel is the most complete work I have done so far. At the same time I know that it was never actually planned out to exist. Somehow, the songs just seemed to show up themselves. It is also worth mentioning that my friend has now finished a translation into Danish of ”Showing of Love” by Julian of Norwich and it has been released by Boedal. Highly recommended reading! – Mikael R Andreasen, November 2010.